^ Treaster, Joseph B. 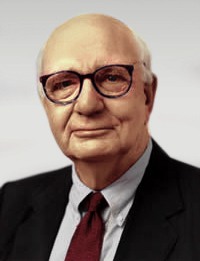 "Paul Volcker: The Making of a Financial Legend", Accessed July 6, 2007. "Donald W. Maloney, another Teaneck High School graduate, entered Princeton along with Volcker. Although they had been in the same homeroom at Teaneck High for several years and had been high achievers, they had not been especially close." ^ Gardels, Nathan. Stiglitz: The Fall of Wall Street Is to Market Fundamentalism What the Fall of the Berlin Wall Was to Communism, The Huffington Post, September 16, 2008. Accessed September 27, 2009.